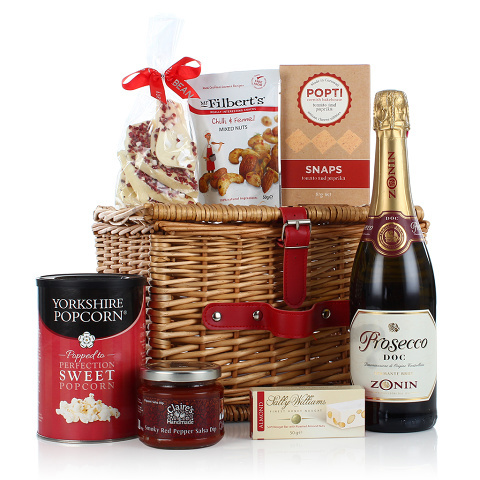 A bright and cheerful hamper that's packed to the brim with delicious food from some of the best artisan makers in the UK. The delicious almond nougat from Sally Williams won't be around for long and the tub of sweet popcorn is perfect for sharing! All presented in an adorable lidded basket that will come in handy after the contents have been devoured.